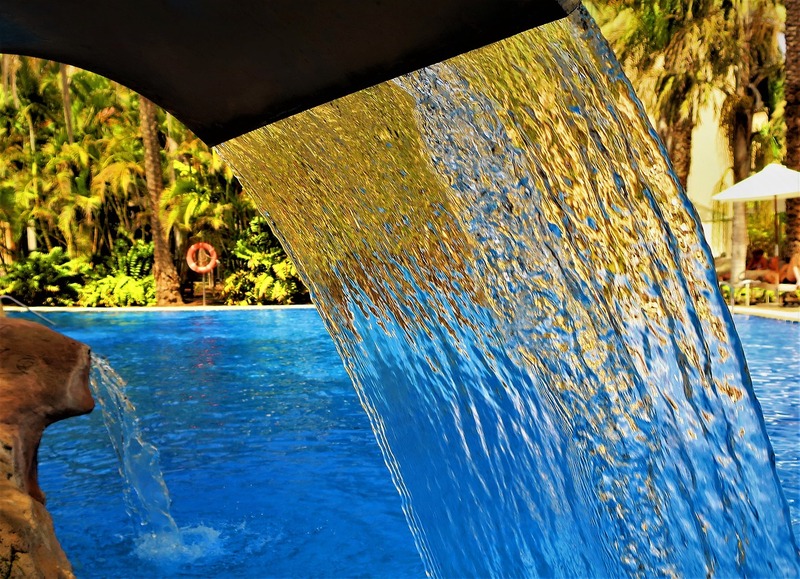 While a swimming pool chlorinator can significantly reduce the amount of harmful chemicals you need to add to a pool, there is no getting away from the need to occasionally add a few things to keep your pool well balanced and sanitised. This week we’re looking at the role of Cyanuric Acid otherwise known as pool stabiliser, pool conditioner or chlorine stabiliser. What is Cyanuric Acid and Why Use It? The main purpose of cyanuric acid or CYA is to stabilise the chlorine so that it’s sanitising effects last longer. Without it the UV rays from the sun will quickly break down the chlorine and elements of it will evaporate. Essentially your pool contains three types of chlorine: free chlorine, combined chlorine and total chlorine. Free chlorine is produced by your saltwater chlorinator and is the amount of sanitiser available to clean your pool. Combined chlorine is the amount of chlorine that has already been used up to sanitise your pool and Total chlorine is the sum of free and combined chlorine. When UV is strong the amount of free chlorine in the pool can be seriously affected. 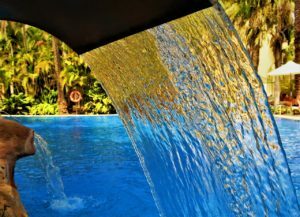 In fact on a hot, sunny day in Queensland a pool can lose up to 90% of its chlorine in just a couple of hours. Without pool stabiliser you would likely have to add eight times as much chlorine to keep your pool sanitised for the same amount of time. Cyanuric acid comes in both liquid and granular form. If it’s mixed in with chlorine tablets it’s commonly called trichlor and if it’s in chlorine shock treatments it’s often called dichlor. Getting the balance right however, is really important. Too much pool stabiliser will significantly reduce the effectiveness of the chlorine in your pool. If the level gets too high you could end up with chlorine lock, the point at which you have chlorine in the water but it is locked up by the CYA and cannot do it’s job. Recommended levels of stabiliser in Australia are 20ppm to 50ppm. However, it’s worth understanding that a higher level doesn’t necessarily mean better UV protection. In fact, at 30ppm you get about 96% UV protection while 50ppm delivers approximately 98% BUT the bacteria kill time almost doubles. Assuming your ph level is maintained at the recommended 7.2 to 7.6, a CYA level of 25-30ppm should deliver the perfect balance of chlorine effectiveness and UV protection. Keeping your pool stabiliser topped up really does make a significant difference, particularly in the Queensland summer heat. You’ll find your chlorine levels are maintained much more efficiently and effectively and your pool will stay sparkling for longer. If you need advice on any aspects of your pool chemistry, be sure to regularly check our tips and advice page for all the information you need to keep your pool sparkling and healthy.